Ahhh- that is pretty!! I am seriously coveting! Lucky you! I've been drooling over those since I first saw a commercial. Hopefully, by the time I'm in the market for a replacement vehicle, there will be some gently-used ones on the market! Very nice... how'd you get it, if you don't mind me asking? I saw one of these go by my house the other day. I really like them. Congrats on the perk! Looks like other drivers in non-SUVs still wouldn't be able to see throught this behemoth, and, like any other SUV, it would pose greater risks to other drivers and/or peds in a collision than a... car. 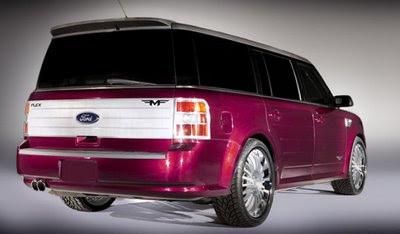 Ford is coming back with great cars. interesting. 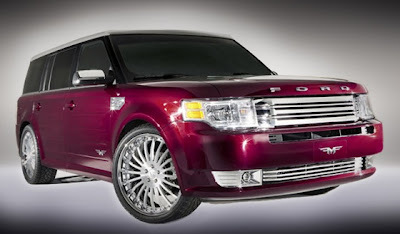 looks like Ford and Range Rover had a baby! Really?? That's such great news, I am glad you will be burning 1000 times more fuel than usual.